Specialized Equipment for Advanced Unibody and Frame Repair. We are a family-owned full-service body shop located in Mundelein, near Route 45 on Route 176. We have been servicing the surrounding communities with high-quality collision repairs since 1958. 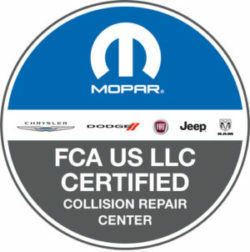 We are iCar Gold Class certified, stop by for a free estimate or call us to set up an appointment. Our online reviews don’t lie, we have friendly, knowledgeable staff who take pride in their work. State-of-the-art repair and painting equipment enables us to handle any type of vehicle and any type of collision. We understand the newest repair methods and unique vehicle requirements. Specialized equipment for advanced unibody and frame repair makes tackling complicated hits easy. Our computerized paint mixing systems enable us to match your vehicle color, regardless of pre-accident color or type of vehicle.